To not make the same mistake again...:-) I don't like to fail but I have learned more from my screw ups than I have from my successes. 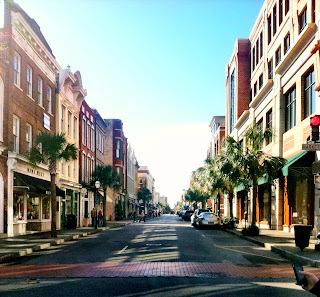 To move to Charleston is a great one that we made. We both love the lifestyle that the city provides. It really is an incredible place. I am not a big Christmas fan. I would rather avoid the whole thing but with three kids, I kinda have to do it. We will probably put up the tree December 22nd or so. Heather should be returning from her Canadian sojourn with my parents - so we can do it then. I don't necessarily like cards either but I will play Poker as a social element. As my waistline can attest, I do tend to eat more. Heather does reviews all the time. I on the other hand very rarely do so. Though I do write text book reviews for journals. They do tend to be extensive and contain suggestions for improvements.